What is a Primal Health Coach? A coach that is armed with holistic knowledge of how fitness, Primal Nutrition and lifestyle, influence well-being, a health coach works with clients to design an inclusive, flexible, and responsive plan to move daily practices toward healthy choices. What is a Primal? Living and eating Primal means you eat only real, unprocessed foods of meat, seafood, nuts seeds, vegetables, fruits, and healthy oils and animal fats. Adriana Brown; $175 or for current training clients $150/month. What does Primal Health Coaching Entail? If you are ready to make a change, a long lasting change to better nutrition, health, and longevity then contact Adriana Brown at abrown@sacdt.com. Spaces are limited so please sign up today! Points will be given in 3 categories: Nutrition, Fitness, and Wellness. Earning points are as simple as eating a new type of vegetable or fruit, working out 60 minutes in a day, or getting 8 hours of sleep. Keep track of your points each week and we will keep a leaderboard of our Wellness Reward participants. The top participant will win a Fitbit and all weekly point logs will be entered into a drawing to win a massage, personal training, Pilates, and swim lessons. Sign up with the fitness director or at the front desk. Pick up your weekly points log. Earn points by doing various health and wellness activities each day. For every 300 points, you will receive 1 star. For every 3,000 points, you will receive incentives. Turn your weekly point log in every Monday to be included in the overall Wellness Rewards’ star chart leaderboard. At the end of the program, the person with the most stars will win! 15-Minute or less meal ideas! Effective meal-planning must encompass the nights when things blow up and you need to get dinner on the table for yourself and/or your family in 15 minutes or less. If we have the right ingredients on hand we can always have a meal back-up plan. Below is a list of some of my favorite 15-minute meal ingredients. I’ve separated them into Proteins, Starches and Vegetables. A healthy meal can combine all these into a well-portioned “balanced plate”: ¼ protein, ¼ starch and ½ vegetables. Next time you meal plan – buy the ingredients for a quick meal as a back-up. An example would be a flavored pre-cooked Adell’s chicken sausage, a box of couscous and a new frozen vegetable blend. These ingredients will keep for weeks/months – and you’ll always have a quick meal on hand – and avoid the pitfalls of dining out. Get Your Abs In The Kitchen! I heard this line recently from an interview with a young woman who went from an obese teen, lost over 80 pounds, and is now getting ready to compete in the Ms. Texas competition. Love it! I also loved hearing her trainer chime in that weight loss is about 80% what goes in your mouth. I’ve always been conservative and said 70% of weight loss is diet but I believe for some it is higher. Sometimes I just need to hear it again to remind myself how important it is to focus on your diet if you’re trying to lose body fat. Here is my best description of why that is. A pound of fat is roughly 3500 extra calories you’ve stored that your body didn’t need in the past. (People who eat an extra 100 calories a day above what they need will gain 10 pounds in a year). If the average person works out 3x per week for 60 minutes they will likely burn about 1500 calories for the week. If diet stays the same you’re looking at about 1/3 of a pound drop. Dropping a pound in 3 weeks for most people is discouraging. Best bet if you want to lose 1lb a week is to find an exercise you enjoy that you’ll continue with in the long-term AND start tracking what you’re eating. Just the act of tracking or writing down things will help you reduce the mindless eating and decide if the calories you’re eating are really worth it. Most women will be in a 1lb weight loss at about 1500-1800 calories a day and most men around 2000 calories a day. Keep in mind that varying your calories from day to day can help you prevent a weight-loss plateau. If you find yourself hungrier on workout days, eat more. If exercise makes you hungrier the day after, eat more that day. Learn to use special occasions to your advantage by eating less the next day. It’s all about the average of calories at week’s end. Another key point is that you need to eat breakfast. Something is better than nothing – a banana, yogurt, protein bar. If your metabolism doesn’t wake up it’s going to be hard to lose weight. If you need some extra support, aka “accountability”, you’re welcome to contact me at kreed@sacdt.com. Often, a half hour session plus an additional follow-up is all you may need to get going in the right direction toward sustainable weight loss. If you have ever seen a Nutrisystem commercial, you are missing out. In fact, check this one out before you go any further, it’s worth watching. Did you catch the bit on the “proven science of the Glycemic Advantage?” I love that line. The good folks over at Nutrisystem have found a way to scientifically determine which carbs are good and which carbs are bad, and created a weight loss program around that premise. At first glance it may seem that the judgment on some carbs is too harsh. Maybe the “bad” carbs had a rough up-bringing and they never had an appropriate role model to teach them any other life-path. Jokes aside, Nutrisystem , and may other diets are based on the notion of the glycemic index. Glycemic index (GI) is a way of ranking carbohydrates in terms of how quickly your body can break them down into usable sugar in the blood. Pure glucose, the most usable form of sugar, has a GI value of 100. Low GI foods have a value of around 0-30 and are found in foods like legumes, lentils and bitter fruits. Medium GI foods, like sweet fruits and whole grains have a value of around 30-60. Processed bread, food with added sugar and dried fruit are high GI foods with a value over 60. Glycemic Index is important because the rate that carbohydrates are converted into glucose impacts your blood sugar levels. High GI foods increase blood sugar rapidly which triggers a large release of insulin. Insulin reduces the level of blood sugar by storing some of the sugar as fat. This roller-coaster effect on blood sugar is problematic for those with diabetes or pre-diabetes, but it is also bad news for people concerned with their weight. Making some substitutions to replace high GI foods in your diet with low GI foods can help you lose weight. A 2009 review of randomized, controlled trials found a consistent effect of weight loss for those who followed diets rich in LGI foods. One study from the review showed equal weight loss for those engaged in an energy restricted, low fat diet that included high GI foods compared to an unrestricted low glycemic index diet. The people on the low GI diet were allowed to eat until they were full for the duration of the diet whereas the conventional dieters where compelled to monitor and restrict their food intake. And there was no difference in weight loss between the two groups! If you do not like the hassle of dieting but need to lose weight, consider incorporating more low GI foods into your diet. It is by no means a magical solution or an excuse to overindulge in fatty foods but it just may be a kick start your weight loss. Look at the GI table below for some examples of common foods and think of some meals and snacks where you can swap a high GI food for a low GI food. This is far from a complete description of how to use glycemic index to your advantage. Oh No I Gained a Pound! I recently have been asked by a lot of friends, probably looking to the New Year and losing weight, about how to lose some weight and change the way their body looks and feels. More specifically they have brought it to my attention that their stomach changes each day, and that when they look at themselves each day in the mirror some days they like their looks and other days they don’t. This got me to think about how some people can become obsessed about their looks, exercising and/or dieting more than needed. Let me tell you, it is not a bad thing to be conscious of what you look like, feel like, how you exercise and what you eat. A problem occurs when that is all that you think about and when you beat yourself up for fall short for one day. Our bodies are made to adapt to any stimulus, be that food, exercise, weather, stress etc. For someone to stress about how their body looks day to day is a little absurd; as each day our body can absorb more or less water, our stomach can be distended from eating too much food or foods that stay in our system longer, for females certain times of the month can make them retain water etc. When we look at ourselves on a daily basis the results can be very skewed and can create a very unhealthy mental aspect or body dismorphia. A better approach would be to reflect on your weekly habits and how you feel in general. Much like weighing yourself (at the most) once a week try reflecting once a week on your weekly activities. Look at how you are eating that week, at how you are handling your stress for the week, how much exercise you are getting and try to make it all work for you. If you are feeling a little bit off take a look at the things that are different from the past that could be affecting you this week and try to fix them. In the end the science suggests that an change to our body being good or bad is from long term changes or habits, and that if you miss a day of working out or have a not so good day of eating you need to acknowledge it and move on; think about concentrating your energy into the better habits. In the end how you look and feel does not change in one night…it is a culmination of everything you do in a habitual nature over a longer period of time. So if you feel down because you missed a workout or you feel like you are heavier don’t fret; take time to reflect on how your weekly habits are forming and then go from there. There are always new products and new research concerning weight loss solutions. Analyzing fads critically will give a fresh perspective to what can aid the process, or is just an erroneous claim. This article analyzes a few foods that are said to help with weight loss. Some believe research studies can be manipulated by corporations to support there interests, so it’s important to view each claim objectively. Green coffee bean – You can purchase a pill, extract form or brew a cup. There are several research studies done that results indicate a weight loss of 0.8lbs a week up to 7lbs a week and most studies done were on overweight participants. There is additional research that was done on mice claiming it will stop fat absorption or increases fat metabolism. 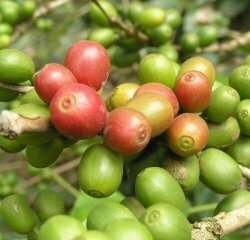 The active compound is chlorogenic acid, which is removed when the coffee bean is roasted. Pine nuts – These nuts have a lower amount of saturated fat and are considered by some to be a superfood. They are said to reduce appetite by releasing appetite suppressant hormones, such as CCK. Certain vitamins and minerals contained in nuts are beneficial for normalizing metabolic processes. Pinolenic acid is a fatty acid that is found in pine nut oil and is very biologically active. Tea (EGCG) – Epigallocatechin gallate is an antioxidant catechin present in tea. It has many therapeutic properties for disease and symptomology and is said to be helpful with weight loss because of its thermogenic properties. The antioxidant was discovered to be in highest amounts in green and white tea. Capsaicin – The property in peppers that make them hot. It is said to help fight body fat by increasing energy expenditure, deterring fat cell growth, and decreasing appetite. It stimulates beta-adrenergic receptors and can up regulate uncoupling proteins in the mitochondrial cell wall thus increasing thermogenesis. The research that has been done on these compounds can illuminate promising effects, but effects vary depending on vital factors, such as: the intial weight of participants, age, and if they were also working out and changing overall diet in addition. There are many more nutritional foods and herbs that have properties that assist in fat loss; however, the most important thing to remember is nothing will be an ultimate answer. Your hard work and effort with exercise and good, balanced nutrition is still the best way you will create lasting change. If you have questions about how to address your exercise routine, contact me Amber Walz. If you have question about how to address nutrition, contact one of our staff nutritionists.